Eddy Isaacs is President of Eddy Isaacs, Inc. He was most recently the Chief Executive Officer of Alberta Innovates – Energy and Environment Solutions (AI-EES). As CEO of AI-EES, Dr. Isaacs was responsible for Alberta’s strategic directions and technology investments in the areas of energy, renewables and emerging resources, and water and environmental management. Eddy worked to broaden collaborations and strengthen partnerships with industry and governments and to leverage the expertise and resources needed to position Alberta as a leader in energy and environmental innovation. Dr. Isaacs has been instrumental in promoting innovation in energy and environment across Canada and has served as Co-Chair of the Energy Technology Working Group of the Canadian Council of Energy Ministers. He is regularly called upon to provide his expert opinion and insight into Alberta’s future in energy and environment. Dr. Isaacs holds a PhD from the University of Alberta and a B.Sc. from McGill University. He has over 70 publications and six patents in the energy field. 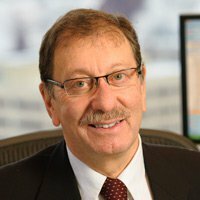 A fellow of the Canadian Academy of Engineering, he serves on the boards of the Petroleum Technology Alliance of Canada and the Alberta Chamber of Resources. He is the incoming President of the Canadian Academy of Engineering. Eddy Isaacs is also a member of the CCA’s Board of Directors.